Make sure that the kids dress warmly. A waterproof jacket is nice so they stay warm even if they get wet. Have a towel and change of clothes on shore so the kids can get dry and comfortable as soon as you finish sailing. Before you leave the dock or beach, talk with your children about heeling. Put them in the boat and show them how to move their weight to counteract heel. 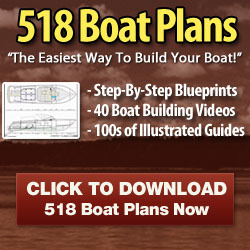 Run through what to do with your children if the boat capsizes (see Chapter 7). Go on the water and do a controlled capsize (where you pull the boat over) so that the kids can see how easy getting the boat upright is. Make sure that you and your children are wearing life jackets. Be prepared to move your weight around often to minimize heeling while sailing. Hold on tight to the little ones so that they feel secure. If possible, let your children sit in the center of the boat in a secure spot where they can hold on. Be confident so that your children feel confident too. Although dinghies offer the thrill of being close to the water, they have less room, and often each crew member has a specific job. That makes caring for the comfort, entertainment, and safety of a small child difficult, no matter how good a sailor you are.